If you’ve decided to embark on a home renovation of any kind, your first decision is likely how to go about hiring a reputable general contractor. While it may seem like a simple task with all of the free lead services available online, it is very important that you do your research before you sign on the dotted line. 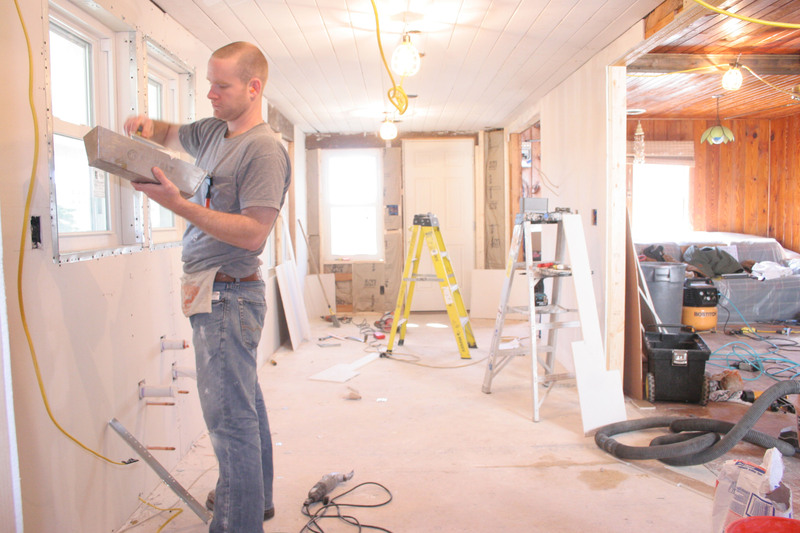 Hiring the right GC will greatly affect how well your renovation goes from beginning to end. At Prince & Sons, we’ve been helping homeowners in the Triangle with all of their home renovation needs for more than two decades. During this time, we’ve encountered many homeowners that didn’t take the proper steps before hiring their previous contractor and were left with a mess on their hands. We thought it would be a good idea to outline several questions that are critical when you’re looking to hire a reputable general contractor. Does the contractor have a valid license? How long will the renovation project take to complete? Prior to agreeing to hire a general contractor, it’s critical that you have a projected timeline in place so that everyone is on the same page. At Prince & Sons, we create an online calendar that outlines all of the details of your home renovation so you’re updated throughout the entire project. This online calendar is a living document, which changes as the project progresses. We’ve found this to be extremely beneficial to our clients to ensure everyone is on the same page. This calendar offers updates related not only to our company and the client, but any subcontractors as well. Will there be any sort of warranty after the project is complete? Most quality general contractors will offer some type of warranty after the project is complete. Be sure that you understand the details of this warranty prior to beginning the project. Be sure that you understand how and when the general contractor will expect to be paid prior to starting the project as well as throughout the renovation. Most contractors will require some type of payment up front as well as draws throughout the project when certain milestones are reached. Will you pull permits and meet the necessary inspectors at the job? Depending on the size of your home renovation, pulling permits is likely required. Be cognizant of contractors who discourage you from obtaining permits. Without valid permits, you could be in for some serious problems should you ever decide to sell your home. A quality general contractor will not only pull any necessary permits, but they’ll also meet the local inspectors onsite to ensure each phase of the project is signed off properly by the local municipality. As you can see, there are quite a few questions that you should ask when hiring a reputable general contractor. If you still have questions about the hiring process after reading through this list, feel free to reach out to our team today by phone at 919-383-0888, or through our online contact form. We look forward to speaking with you soon.